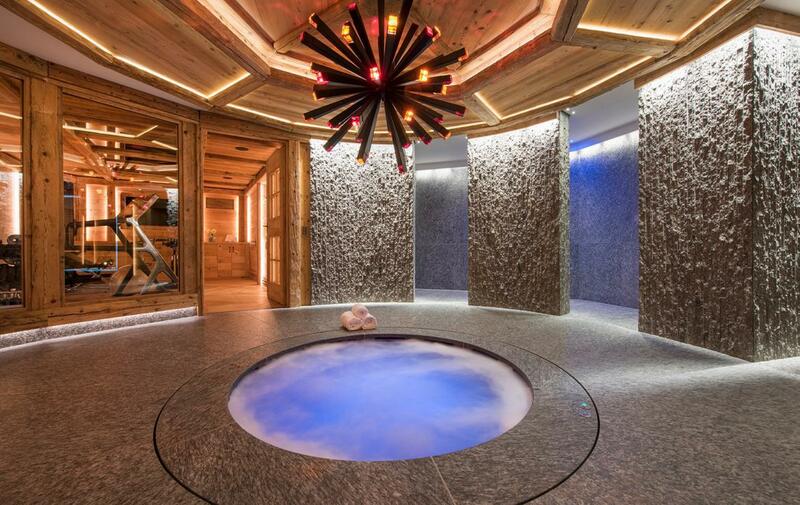 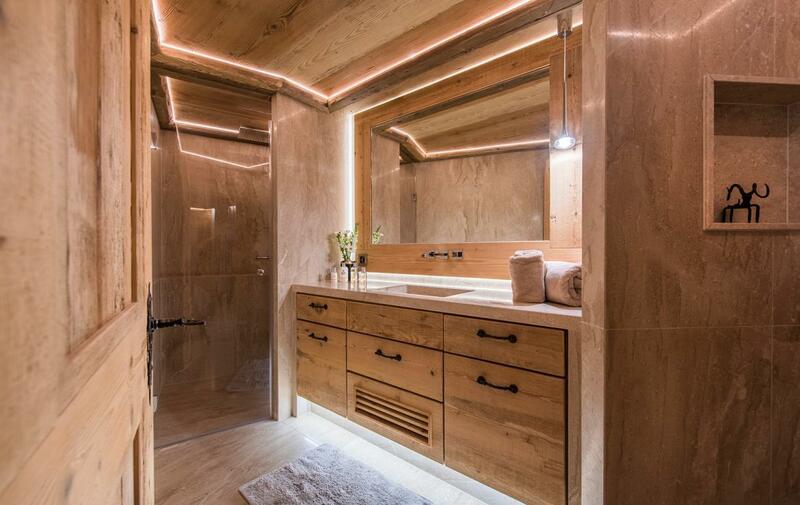 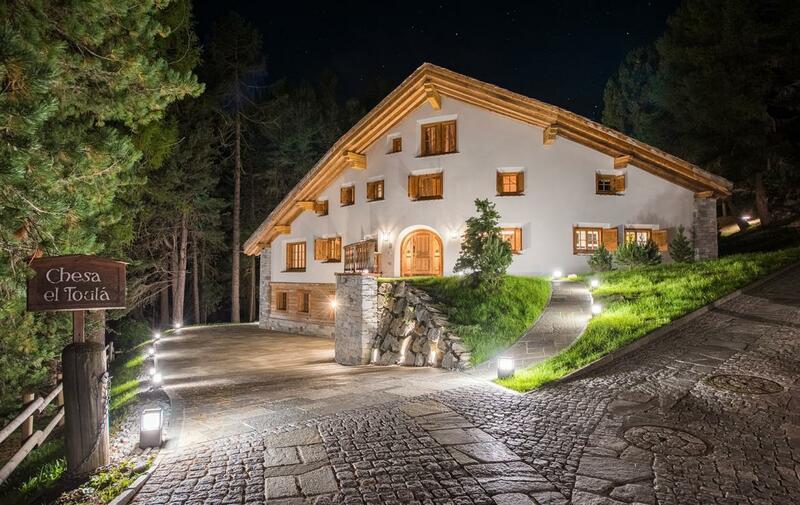 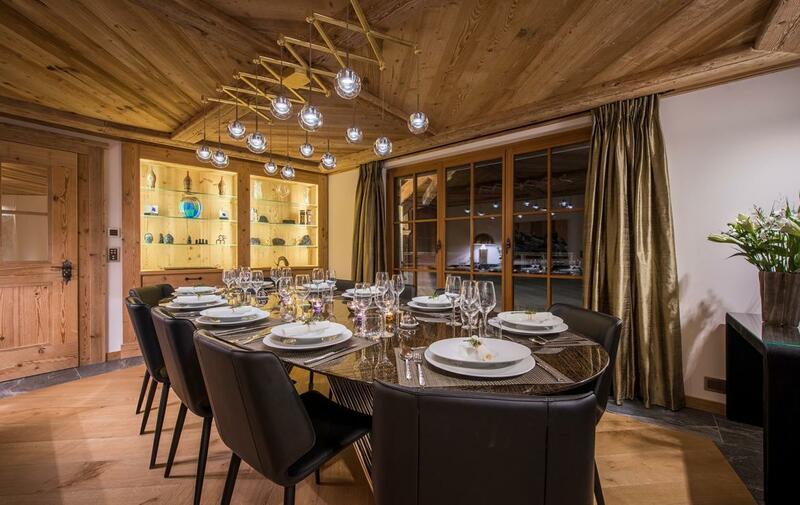 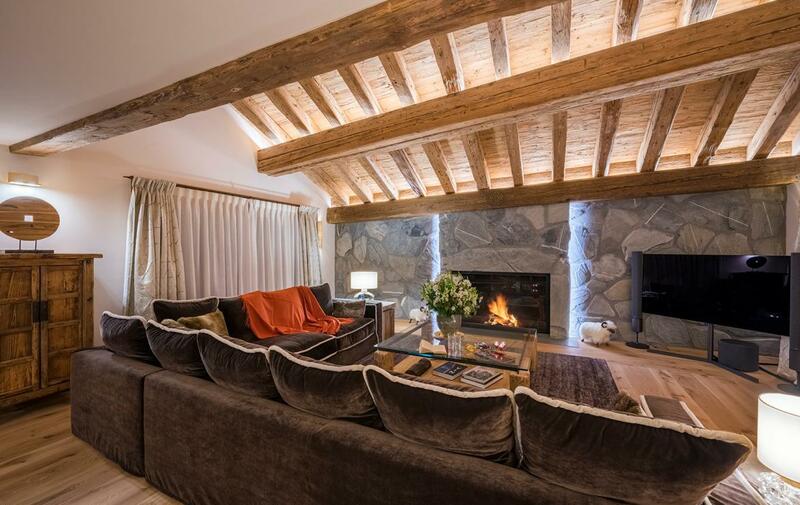 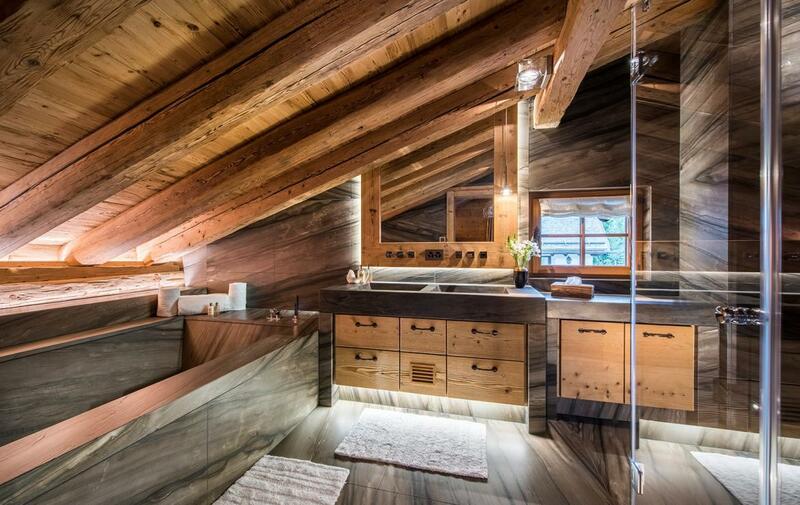 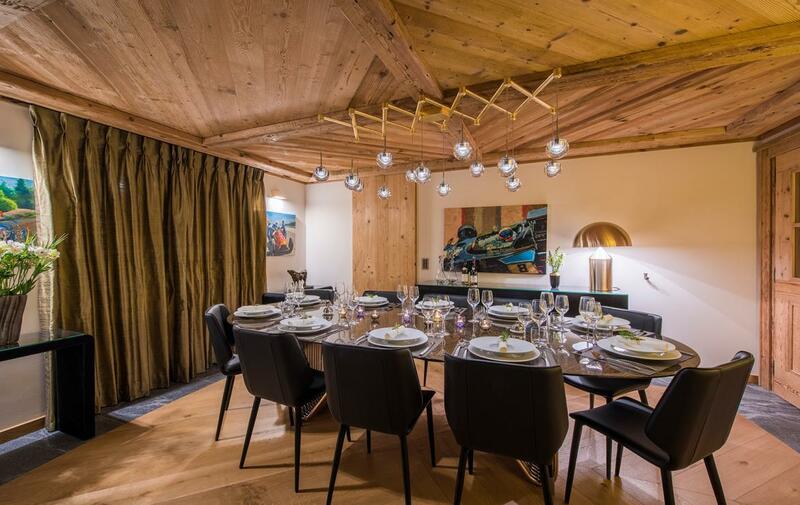 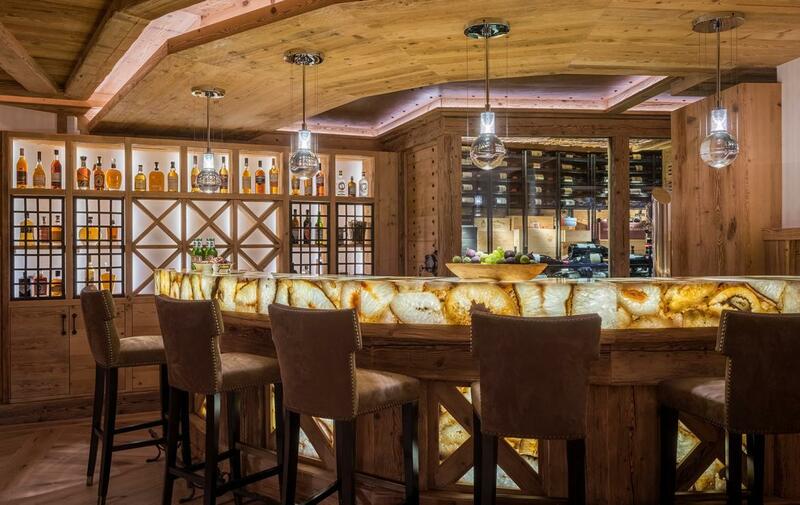 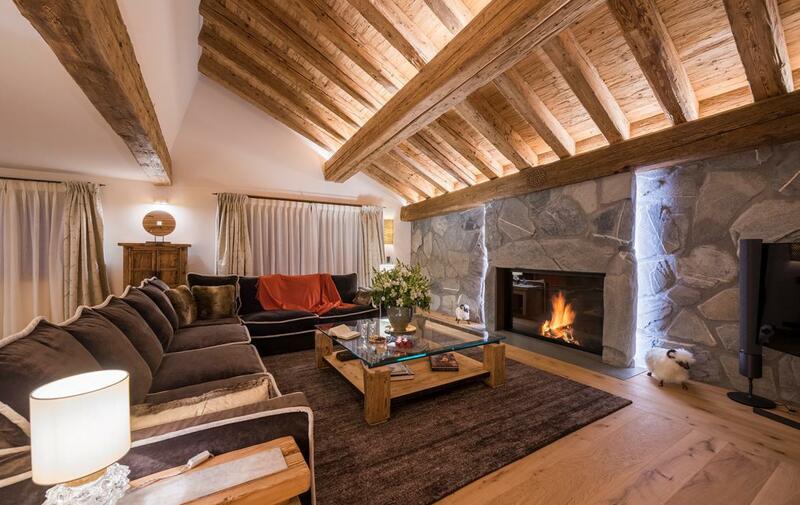 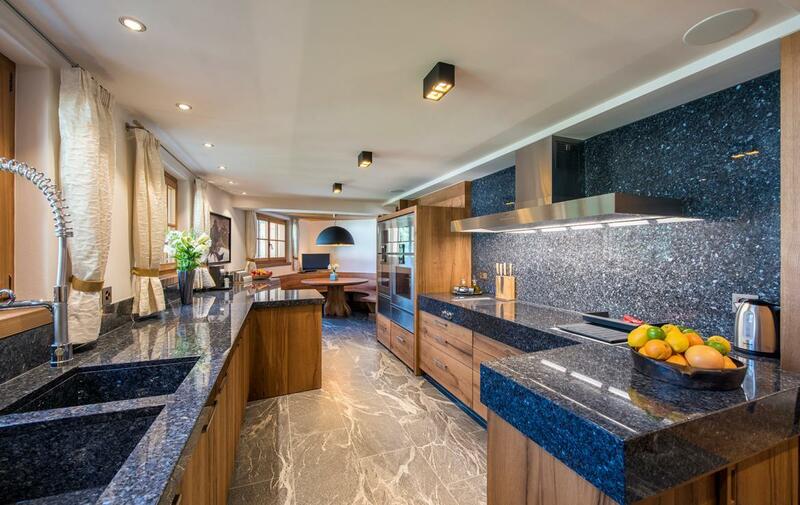 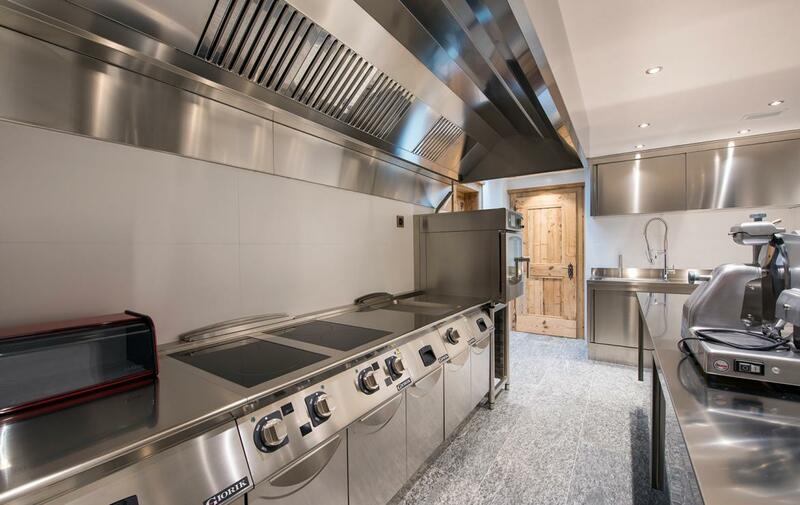 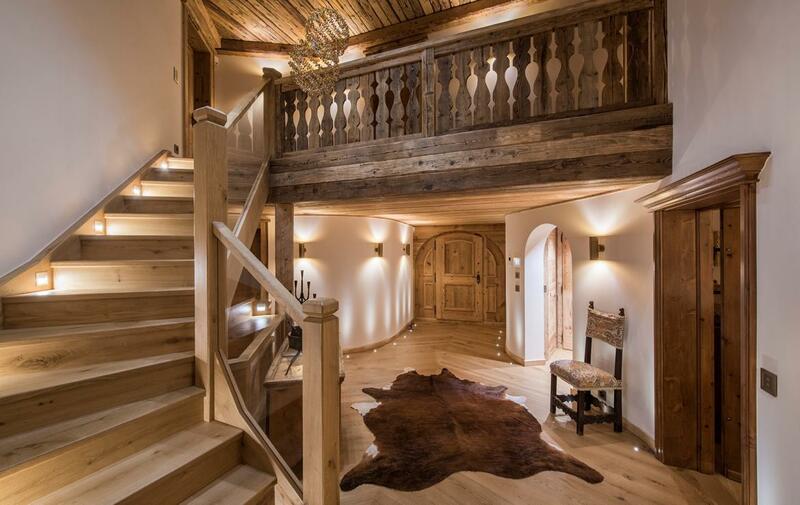 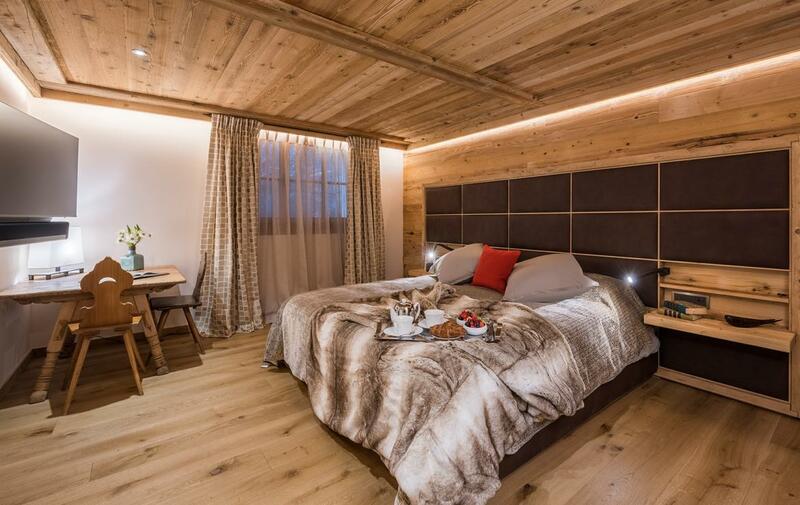 Ultra-Luxury Chalet in St. Moritz for Christmas and New Year. 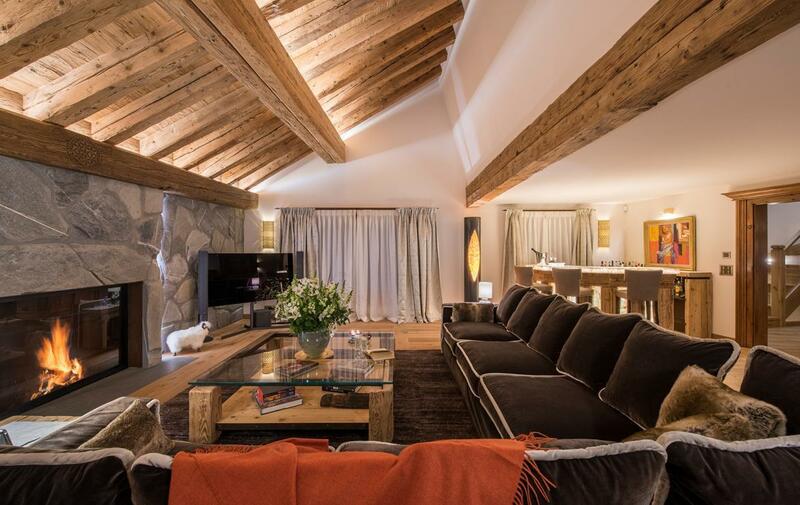 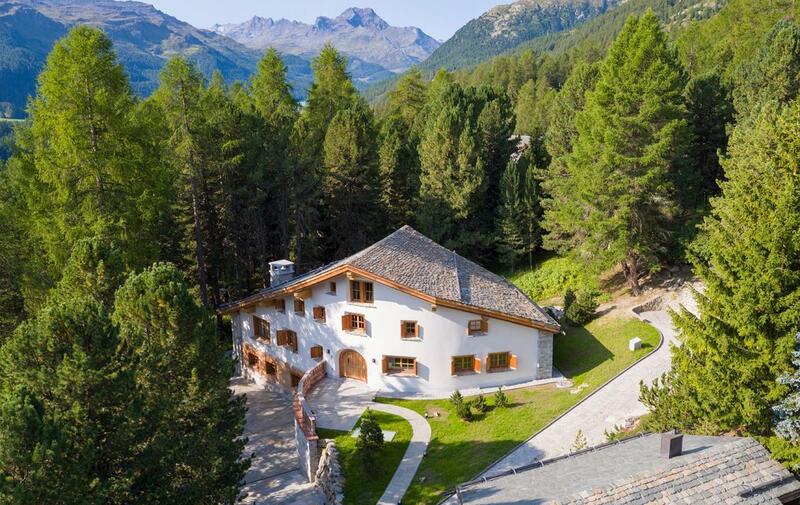 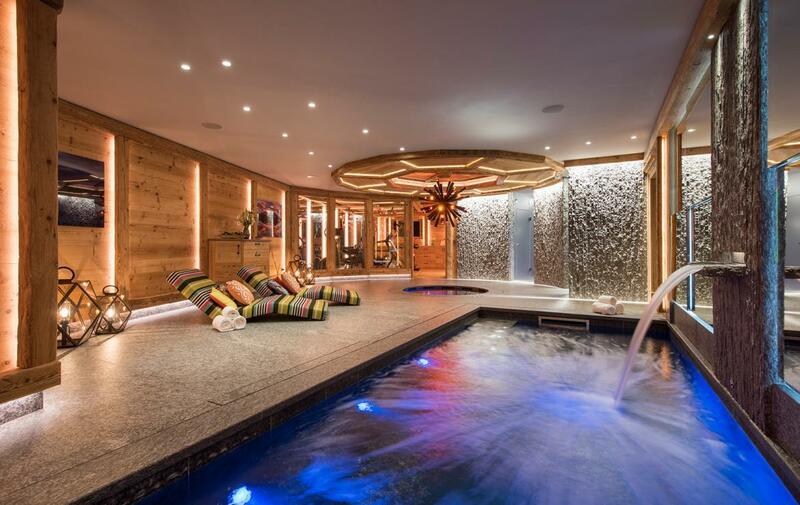 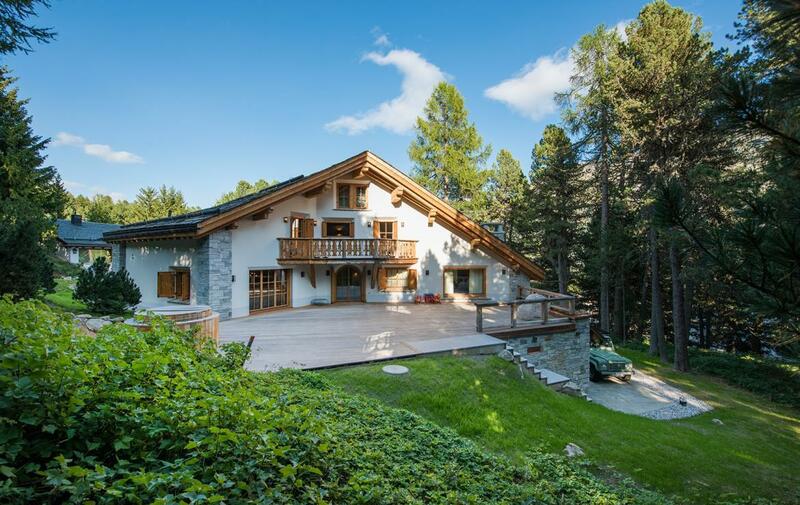 Chesa el Toula is one of the few rental properties in St. Moritz to have a swimming pool. 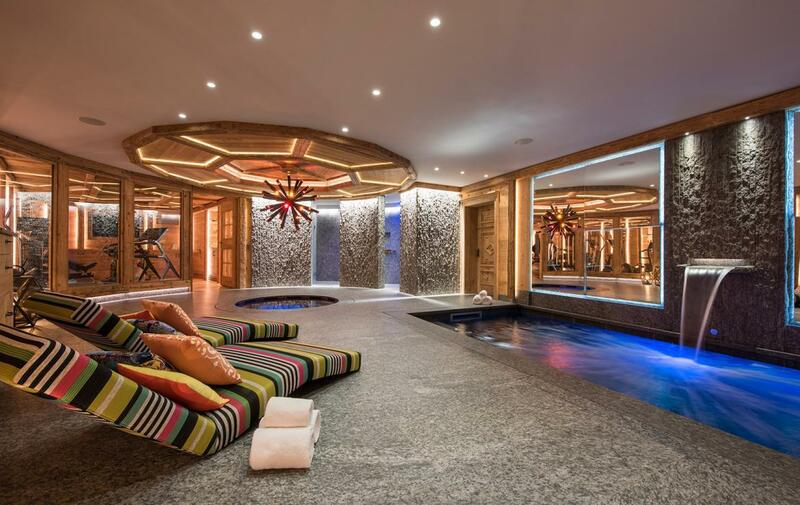 Come sundown you can ease your aching muscles in the chalet’s indoor or outdoor hot tubs, steam away in the hammam or relax on one of the sun loungers beside the pool. 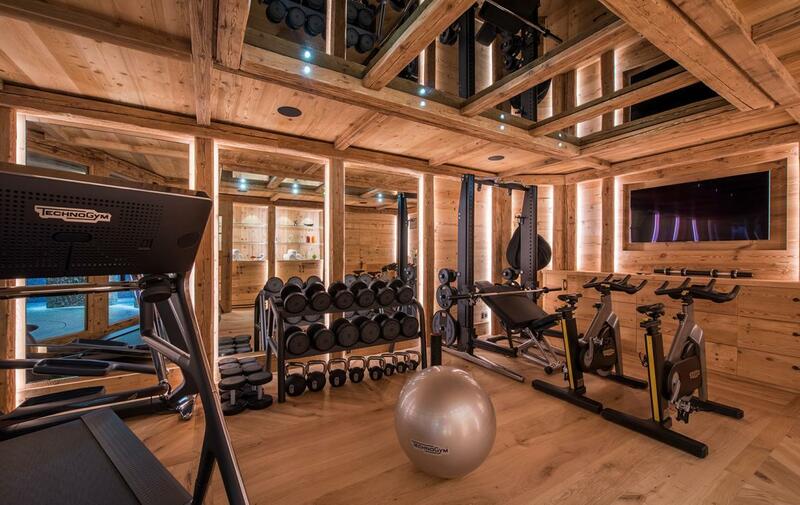 If you still have energy to burn there’s a well-equipped gym for working out. 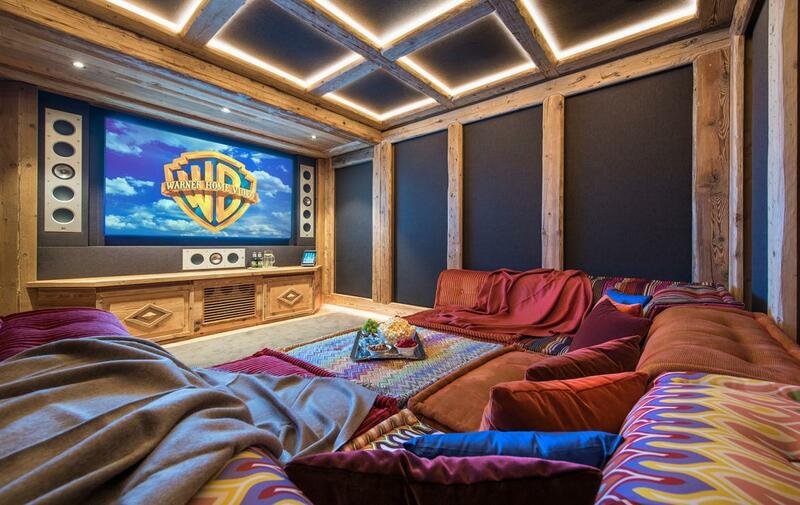 The cinema room is a delight – completely soundproof with super high-tech sound system and slumber-worthy seating, this is the ultimate spot to chill out. 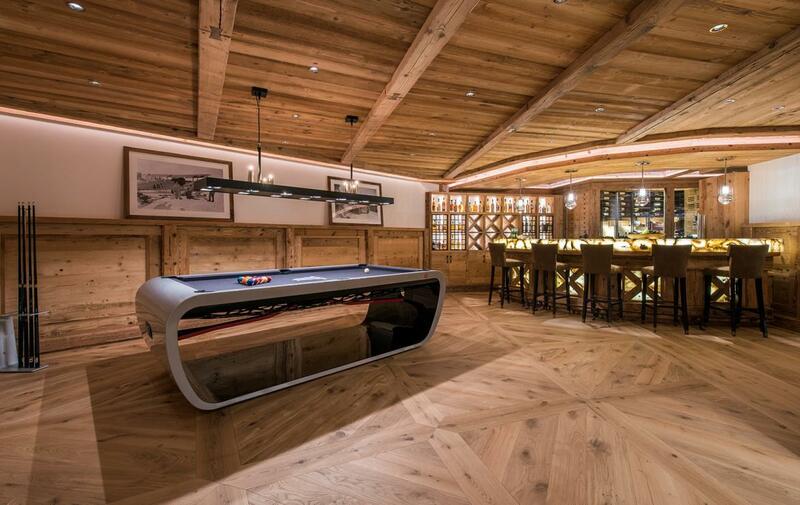 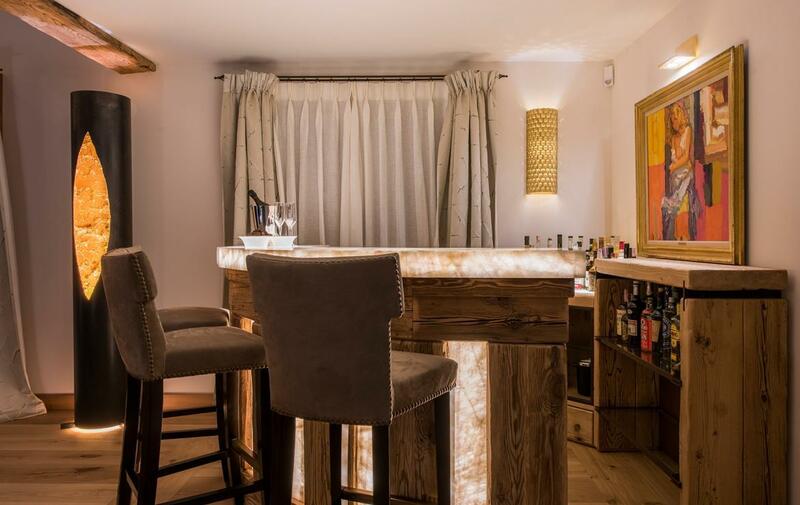 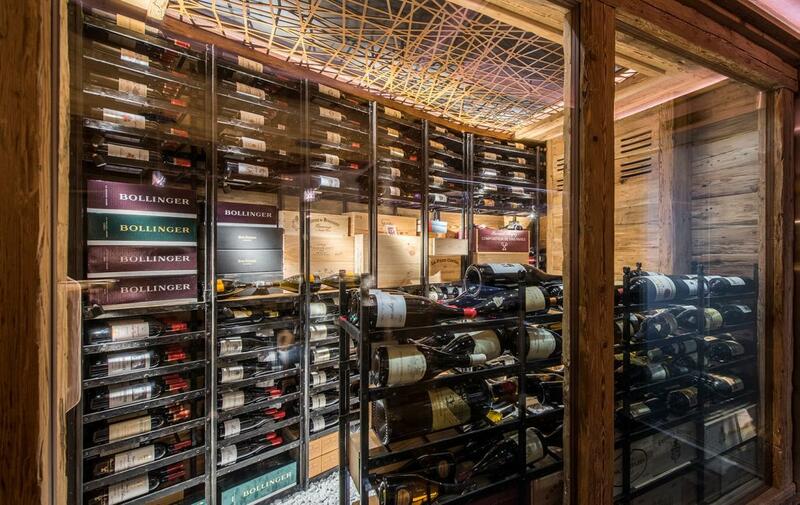 The property also has a bar / games room with pool table and a wine cave with a selection of rare fine wines. 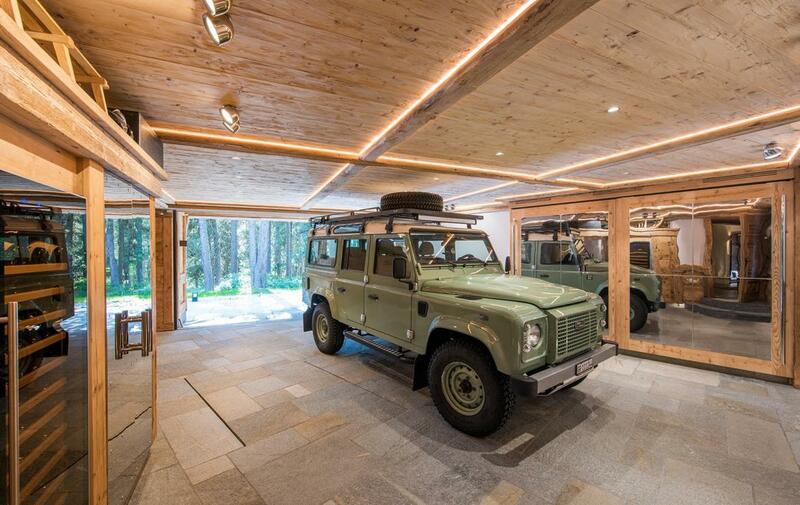 Guests also have use of a Heritage Land Rover Defender within resort (driven by the chalet manager). 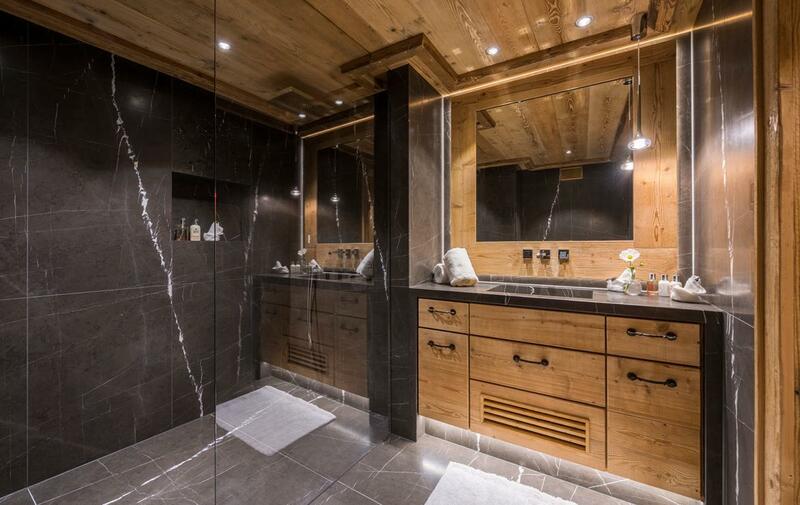 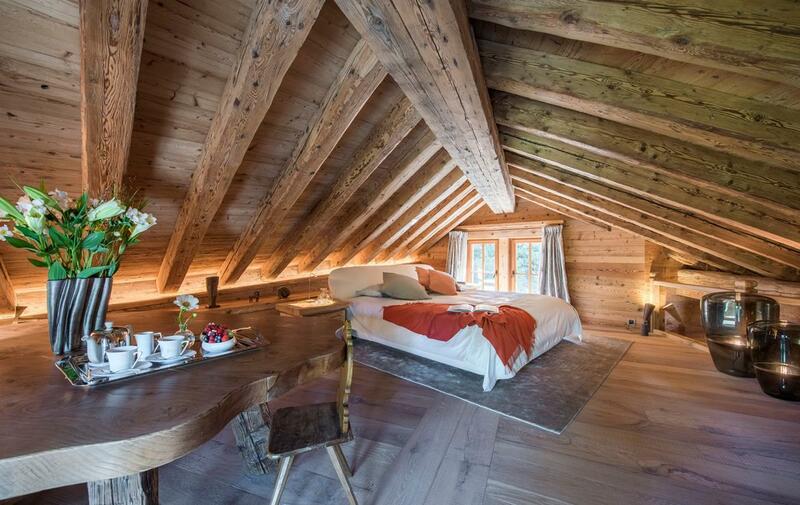 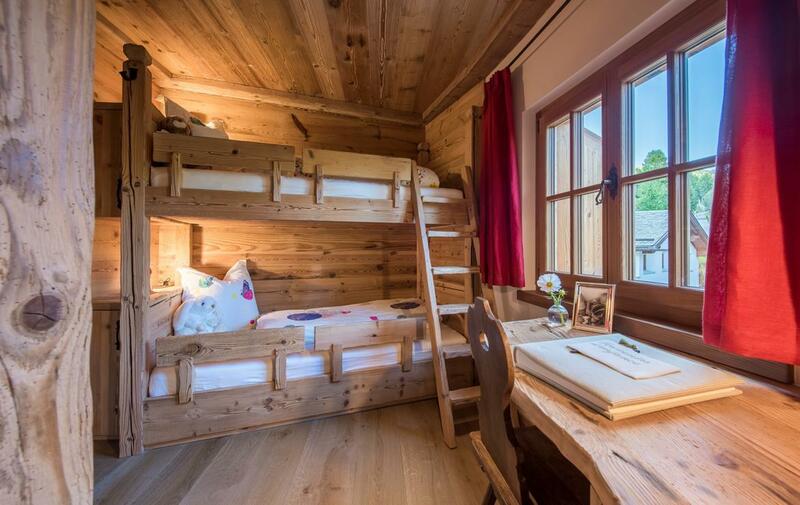 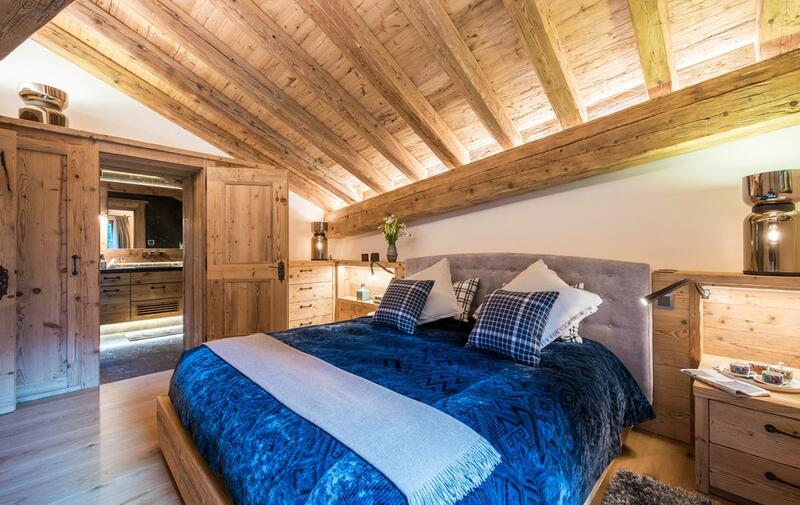 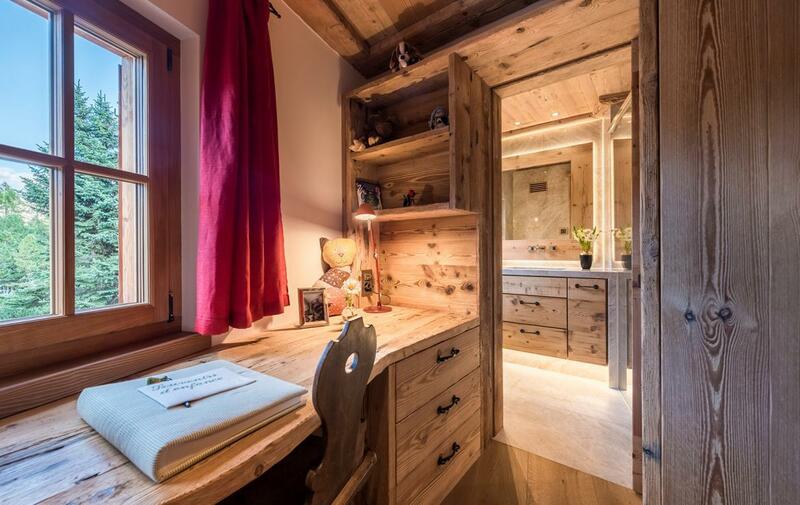 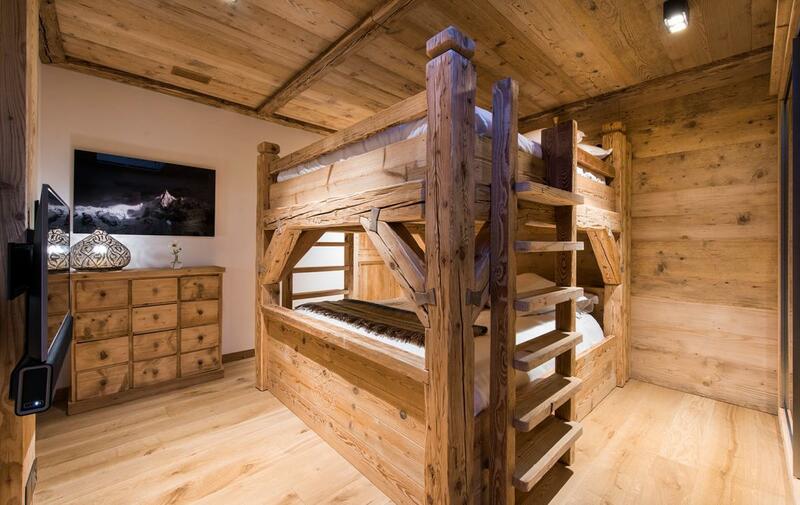 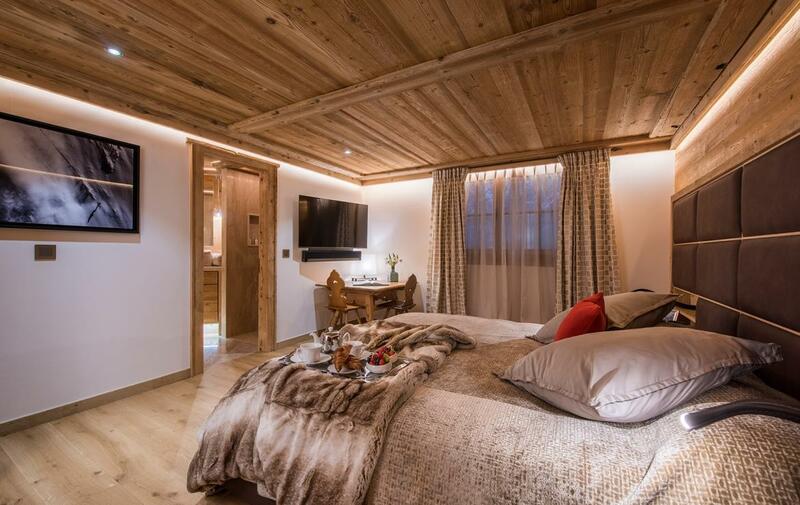 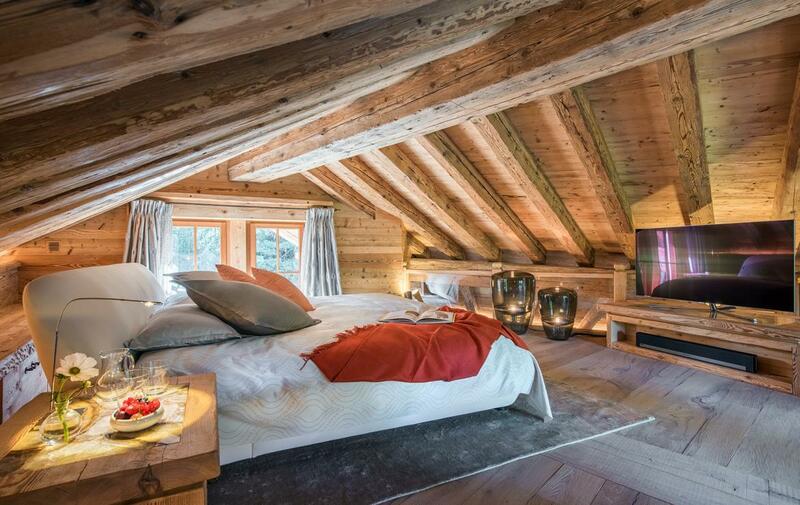 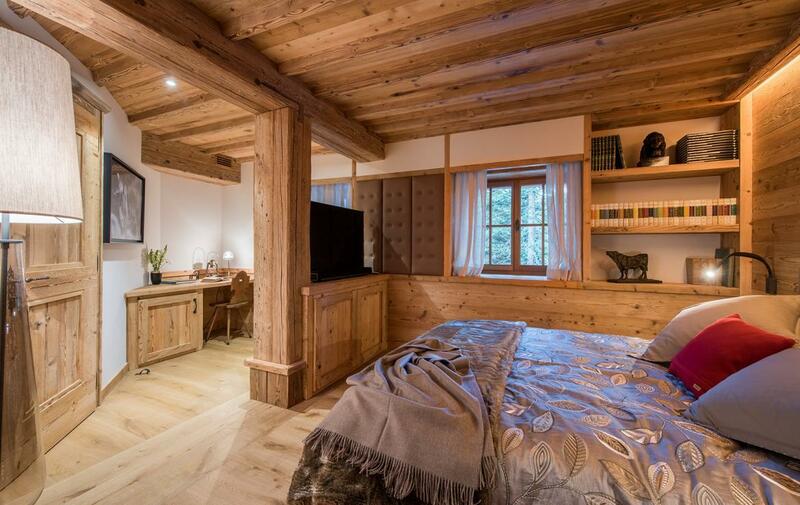 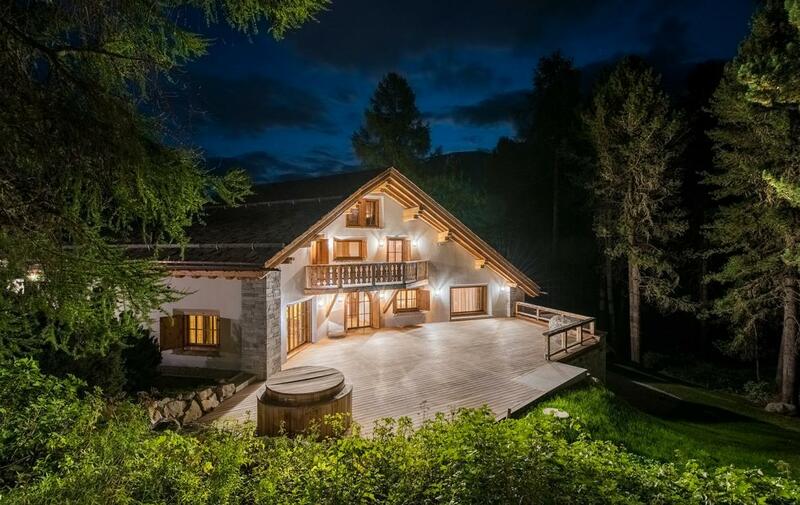 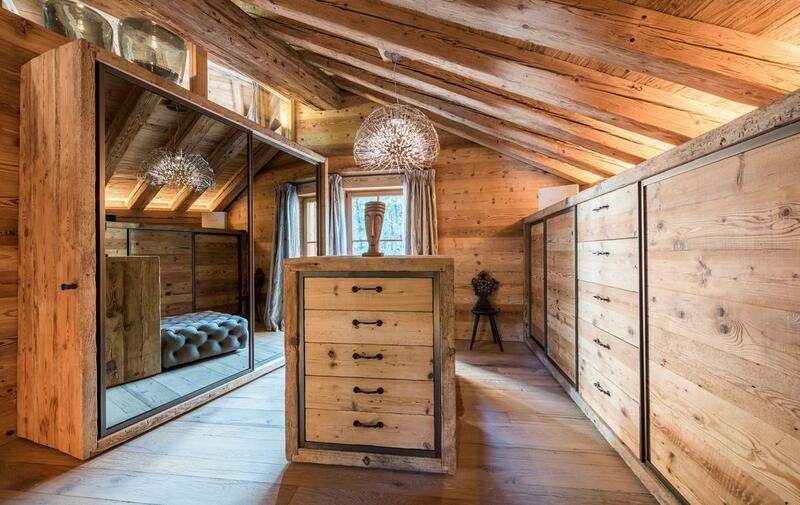 The chalet is able to accommodate ten adults and four children across six luxurious en-suite bedrooms. 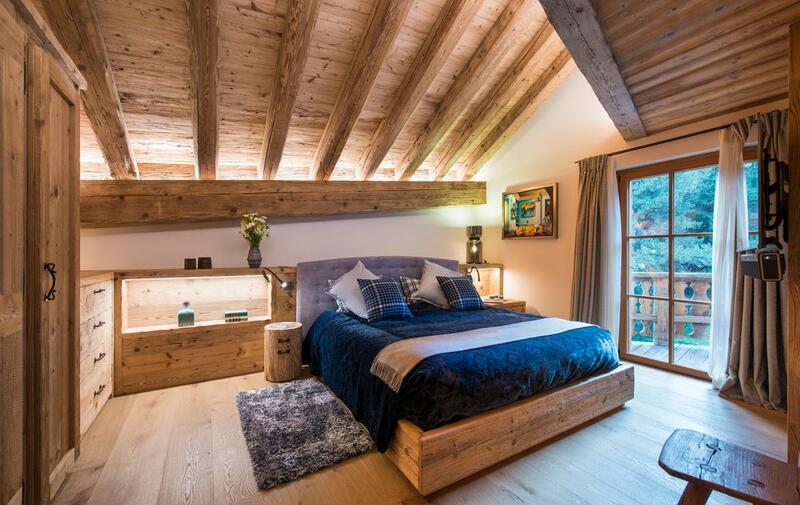 The master bedroom is particularly charming, set under the eaves with a spacious dressing room and en-suite bathroom. 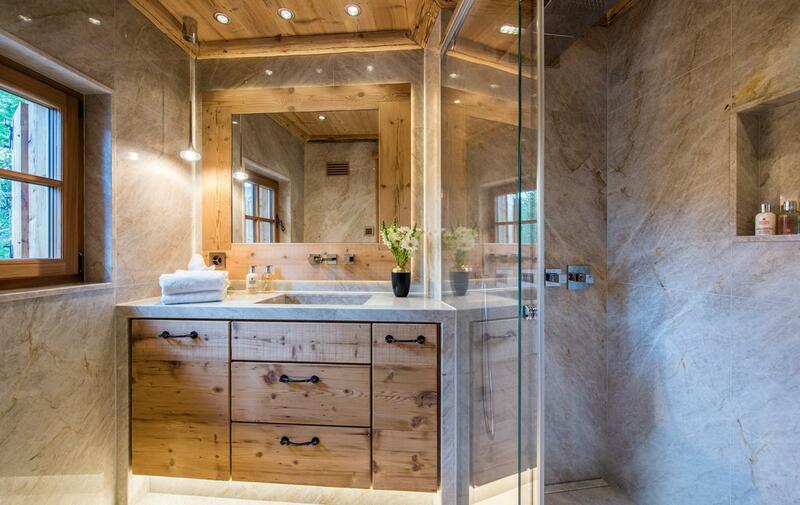 There are a further three double bedrooms, all with en-suite bath or shower rooms. 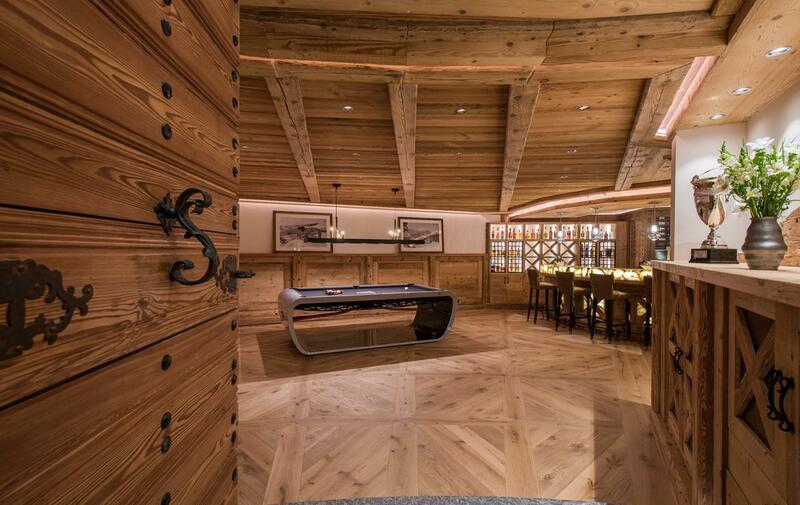 Floor plan only available on request.